A while ago we presented Subtle Patterns – a growing collection of background patterns that can be downloaded for free. Yet some people wanted more. So they took the patterns from Subtle Patterns and created an application that allows one to create their own custom backgrounds. 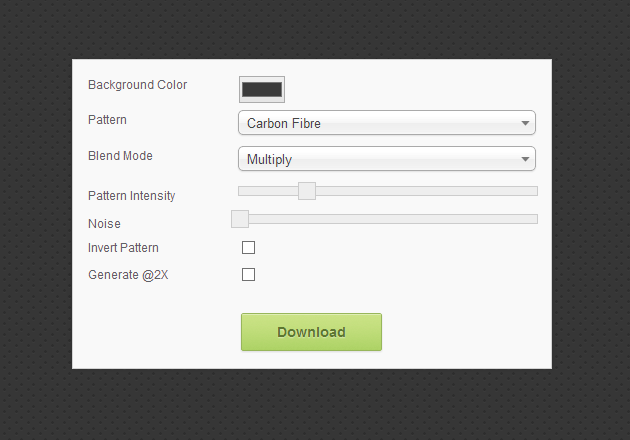 Just like in Photoshop, you can choose a base colour, the pattern, the blending mode and the “intensity” of the pattern. The extra options include the ability to add noise, to invert the pattern or to generate a retina-ready @x2 image. When you’re satisfied with the result, all you have to do is click the download button and save the image generated. Simple, no?